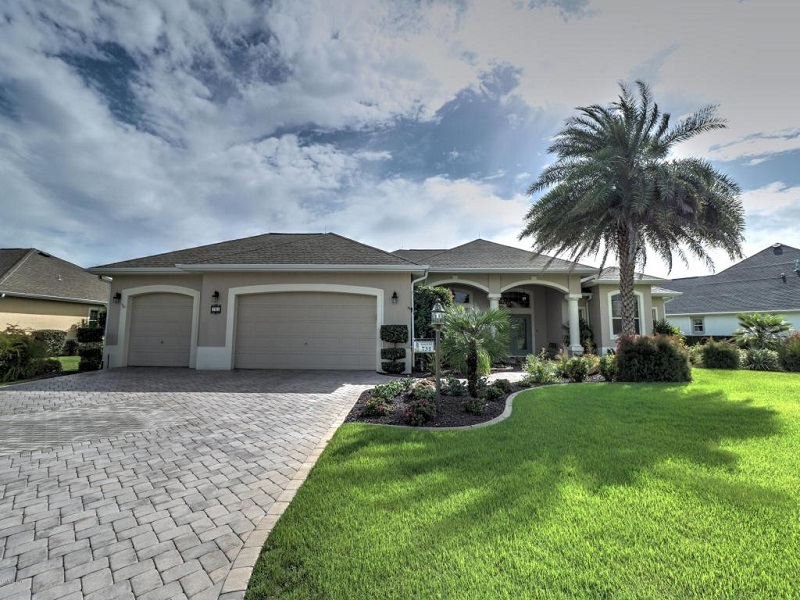 If you’re looking for homes for sale in The Villages FL you’ve come to the right place. On our website, you can find each and every The Villages FL home for sale listed on the My Florida multiple listing system (MLS). Buying a home is a big investment that comes with a lot of baggage. There is a lot that needs to be taken of, and even a minor mistake and sometimes result in huge losses if you don’t know what you’re doing. This is why it is important to undertake your journey of buying a home with a professional who can help you navigate the process smoothly and efficiently. Our team has been helping buyers find and purchase their dream homes for over 3 decades. We’ve extensive experience in the field and in-depth market knowledge that allows us to help you find the right house at an affordable price. We believe in empowering and educating our buyers, we’ve several guides available on our website that will help make the process a lot easier for you. With us on your side, the whole process will seem a whole lot simpler, Call us now. Let us use our The Villages FL real estate expertise to help you find the home you’re looking for. If you’re thinking about selling you’re The Villages FL Home fast, you’ll need to use to the latest technology to make sure you reach as many buyers as possible. This includes getting your house listed on the MLS and promoting it efficiently online. As a real estate team having more than 30 years of experience in the market, we can help you promote your home better than anyone else! We’ll help you find the right price for your home after evaluating all the critical factors; with the right price, and strategic promotions your home will be off the market quickly and you can move on with your plans. Call us now, together let’s find the right buyer and close the deal on you The Villages home for Sale. The Villages, Often ranked as a high growth area, is a census designated place in Sumter County, Florida. In 2014, The Villages FL was ranked as the fastest growing city in the United States. The city has grown significantly and it has more than doubled its size since 2010. Zip codes for The Villages includes: 32159, 32162, 32163, 34731, and 34785. The area code for the region is 345. The Villages offers clean and beautiful environment and affordable housing at low cost of living and lots of diverse facilities and amenities. It’s a favorite among the retirees, and why not the villages welcomes the retired community with open arms. The homes for sale in the villages FL offer both comfort and quick access to loads of dining and entertainment locations! The city features 2 town squares each one loaded with the savory smell of different cuisines served in the many restaurants in the area. There are loads of entertainment options available as well such as theaters, bars, cinemas, swimming pools, golf courses, tennis and more. The villages is a social community. If you’re looking to forge new friendships, you won’t have trouble finding friends in the area. There are over a thousand different sorts of classes, clubs and activities in the area. Whether you’re a fan of music, arts, food or you’re into traveling, sports and cars, you’re going to fit in town easily. It’s a nice place full of amenities rivaling big cities. The Villages Homes for Sale come in many different styles and sizes. You can find everything ranging from cozy, two bedroom villas that are perfect for a small family on a budget to large 4-bedroom homes for those who’re looking for a spacious abode for their family. You can find detailed listings of the homes for sale in the Villages FL on our website. The listings provide detailed information on each house along with professional photographs; you can customize your search by using several filters such as the location, the number of bedrooms and bathrooms, and more. You can search for the The Villages homes for sale. Feel free to call us for a complementary consultation to discuss the homes you like. Did you know that The Villages rank as one of the top five 55+ retirement communities in Florida? It is also the largest age restricted community in the state. The Villages Real Estate for Sale is an affordable get away for those who’re looking for an active life after retirement. If you want to learn more about the life in the Villages and the various type of housing available in the city. Feel free to call us now. According to the census in 2014, the population of The Villages is 157,000. Population density is 1,633 people per square mile. Being a retirement community, the median age in The villages is 69.2. Almost 80% of the people in the city are married, 5.80% are divorced. The average size of household in the city is 1.79. None of the married people in the city have children living with them. Around 0.06% of the people living in the city are single with children. The villages have a warm and temperate climate with hot and humid summers and mild winters. On average, it gets 238 Sunny days annually. The January low is around 46 degrees Fahrenheit, and the July high reaches up to 90 degrees. The city receives 49 inches of rainfall annually, and does not receive snow around the year. The number of days in the year having any measurable precipitation are 117. If you don’t like the cold, and enjoy sunny mornings, you’re going to feel right at home in the Villages FL. The villages offers abundant healthcare facilities to its residents. The city is home to modern hospitals and clinics equipped with the state of the art technology like the villages regional hospital, Moffitt cancer center, a critical care facility and a VA outpatient clinic. Not only that, the city also offers numerous healthy lifestyle options such as fitness centers and exercise classes. If you live in the Villages, you won’t need to travel far in an emergency, one doctor or another will always be around the corner! Most of the people drive their own cars in the Villages. If you’re coming from the airport, you can hire a shuttle to pick you up. The facilities of renting a car are also available for the tourists visiting the area. Are you a First Time Home Buyer? We’ve several guides available to help First Time Home Buyers kick start their search for a new home, you can get started here. (insert hyperlink to first time buyer guides). Are you looking for New homes for sales in The Villages FL? Contact us now. We’re in touch with the finest builders in the city, and thus we can help you find the best sort of The Villages new construction homes for sale in the city. Whether you’re a buyer, a seller or an investor, our decades of experience and in-depth market knowledge allows us to help you in your dealings intelligently. Our clients are at the heart of our service, you can rest assured, your real estate in safe in our hands. Call us now to schedule a free consultation. Whether you’re a buyer, a seller or an investor, our decades of experience and in-depth market knowledge allows us to help you in your dealings intelligently. Our clients are at the heart of our service and you can rest assured that your real estate needs are in safe in our hands. Call us now to schedule a free consultation 352-591-3350. Learn the Step by Step Guide to Buying a Home in Central Florida.